CJ's Taxi & Private hire, Skegness taxis number 1 in getting you from a2b. 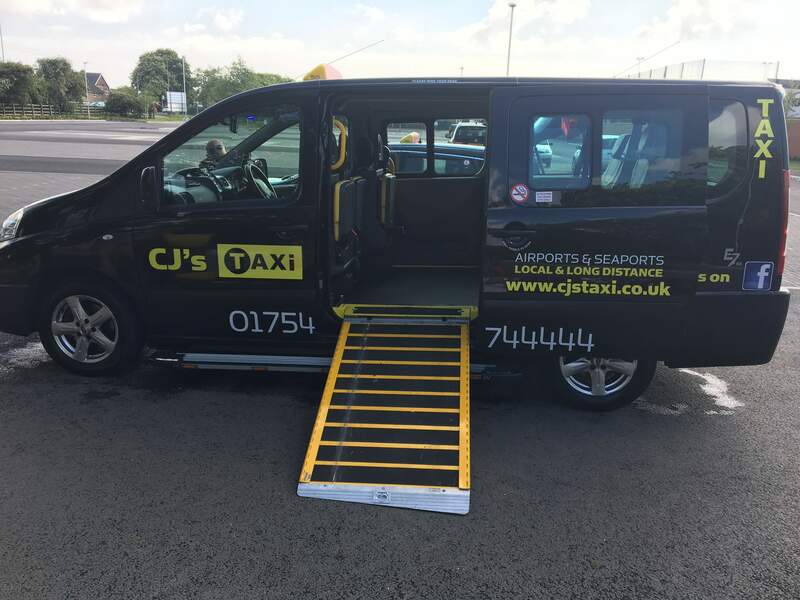 CJ's Taxi Skegness is a well established taxi company based in the coastal town of Skegness. 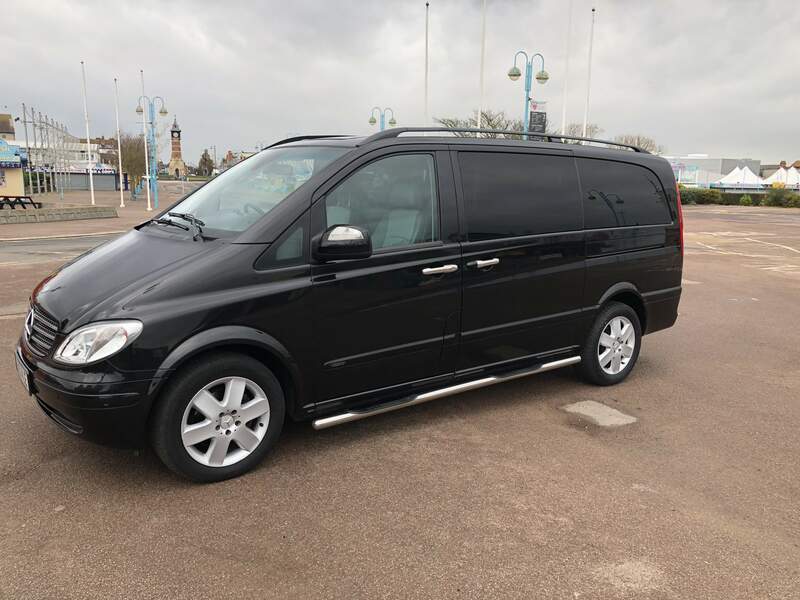 CJ’s has many years of experience in providing short and long distance transportation for customers in Skegness, Ingoldmells, Chapel St Leonards, Spilsby and Alford. Make CJ's Taxi Skegness the 1st choice for your Skegness Taxis. 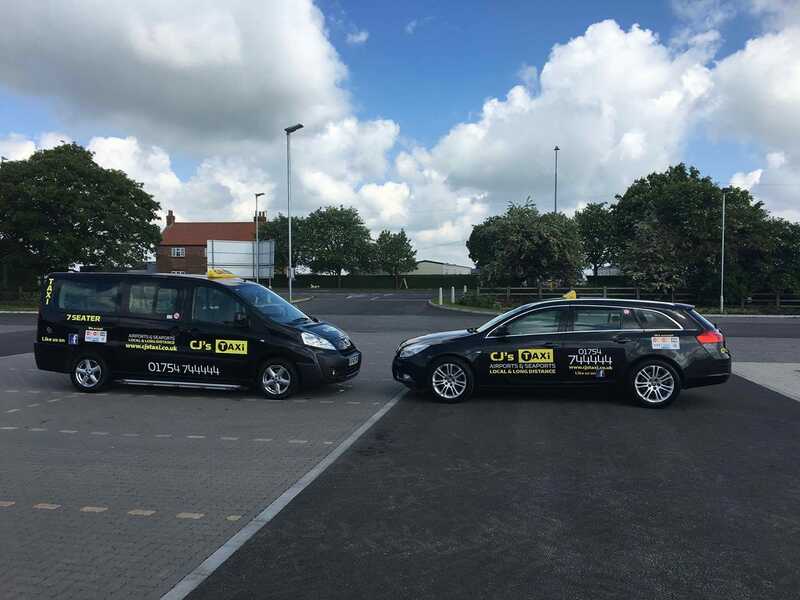 We operate a fleet of well maintained black hackney carriage and private hire vehicles easily recognisable with our striking yellow livery. Our Skegness taxis are licensed by East Lindsey Disrict Council and all drivers hold an enhanced DBS. 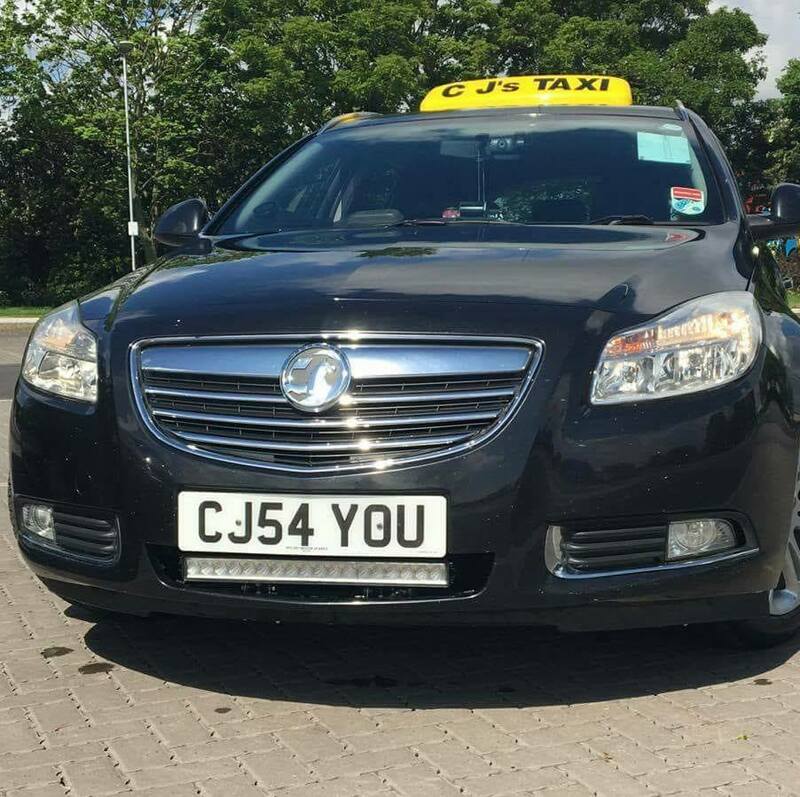 CJ’s Taxi offers a taxi service you can trust with friendly professional drivers who will always go that extra mile to make sure we offer the very best service. Whether your going shopping, visiting the doctors or even the going to the airport, every journey matters to us. If you are arriving at Skegness Train station or Skegness Coach Park call us on 01754 744444 to book your skegness taxis and feel rest assured that one of our professional drivers will be waiting to take you from a2b. Need a return taxi too? Book your Taxi and pay for your return journey when your dropped off at your holiday destination and get 20% off your return. When visiting the east coast for your holiday do not worry about packing the kitchen sink, CJ’s have large estate cars and lwb 7 seater taxis to take you and your luggage to your destination whether its 1 of the east coasts many caravan sites, hotels and guest houses with no extra charges for luggage when booked in advance. On changeover days lookout for CJ's Taxi on the railway station taxi rank.